The Walter Wickiser Gallery is proud to present a solo exhibition of paintings by Kelly Wang entitled "The Recluse Studio Series and Other Works" from October 27th to November 21st, 2018. The opening reception will be held Thursday, November 1st, 6pm - 8pm. 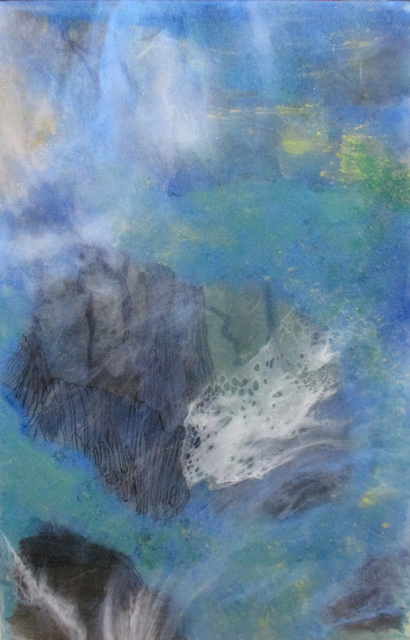 Named after Kelly Wang’s studio, the yigu tang series embodies one aspect of her unique relationship with traditional Chinese landscape paintings and abstraction. Wang grew up in New York City, surrounded by Chinese paintings, calligraphy and antiques collected by her mother and grandfather. 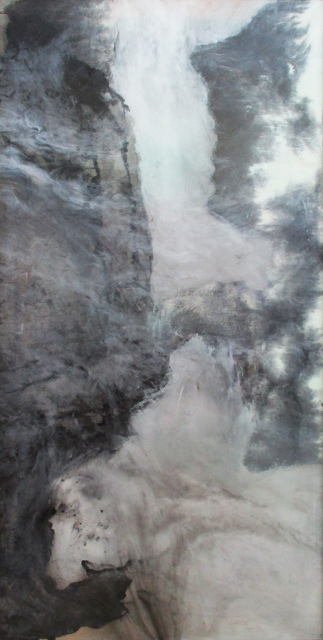 During her time at CUNY Hunter College, she began independently studying traditional painting techniques with Chen Rui Kang 陳瑞康 , who previously taught in Taiwan and was a student of the old master Pu Ru 溥儒 . A few years later, she took up calligraphy with Zheng Wei 鄭威 . 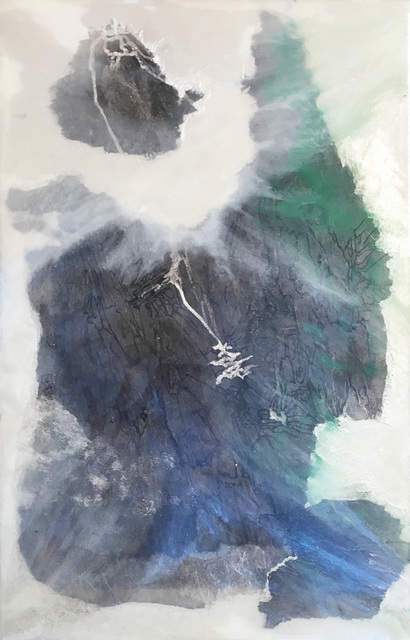 The traditional methods of using the brush became more familiar, but Wang always wanted to incorporate new materials into her work and take it in a direction particular to her, an intercultural artist living in an industrially driven world. 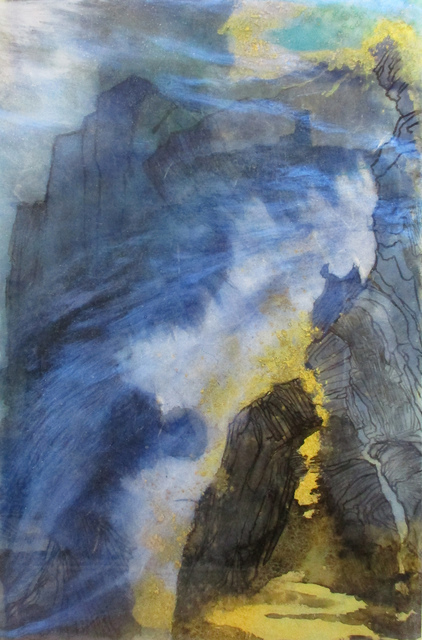 After apprenticing with master gilder R. Wayne Reynolds, she began to experiment with gold leaf, oil, acrylic, resins, and alternative surfaces. 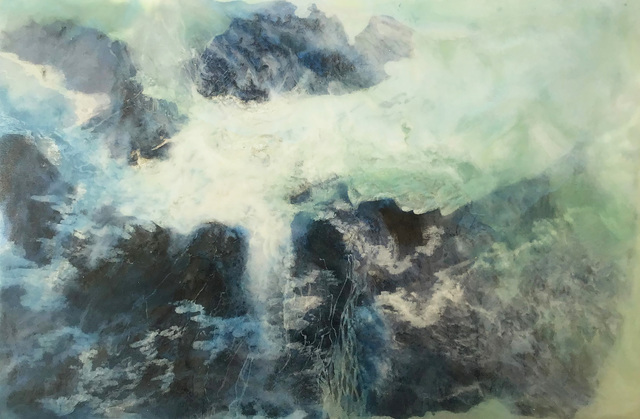 In March 2017, Wang began to incorporate epoxy resin into her work, leading to the creation of a distinct artistic process that is uniquely her own. 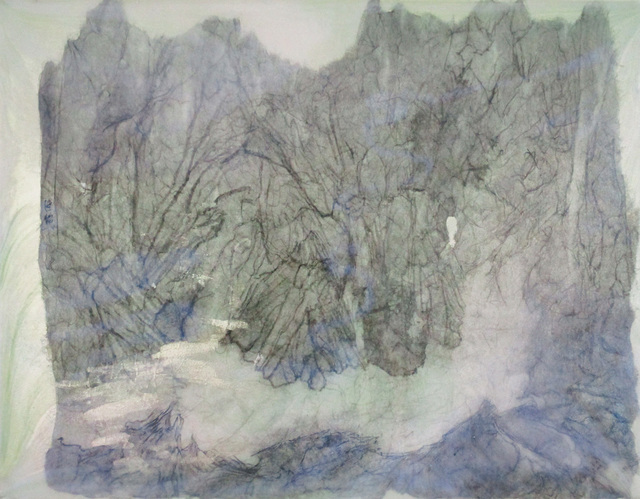 The yigu tang series is representative of the artistic language and process that Wang developed as a result of her experimentation in combining the traditional Chinese materials of ink and xuan paper with resins. Epoxy resins are industrial binders and sealers present in most modern buildings and structures. 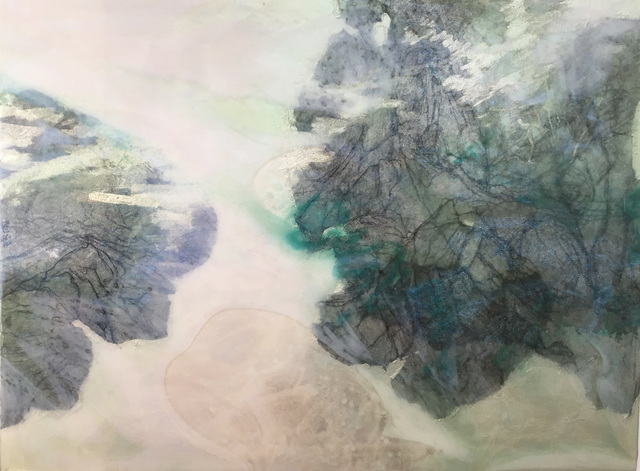 Combining this material with pure powder pigments, acrylics, ink, and chemical solvents, Wang’s process suspends colors between two and three dimensions, taking the concept of po cai  (潑彩  , “splashed color”) to a new level. 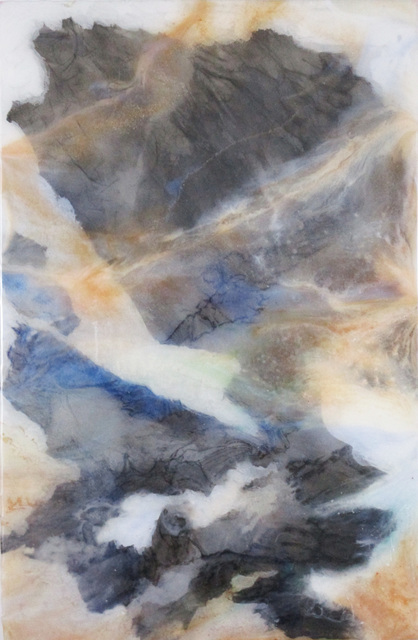 Her process begins with a sheet of xuan paper (  紙  ) covered with layers of ink wash. From this paper, she selects fragments that capture her attention, and mounts these to another surface in random configurations. 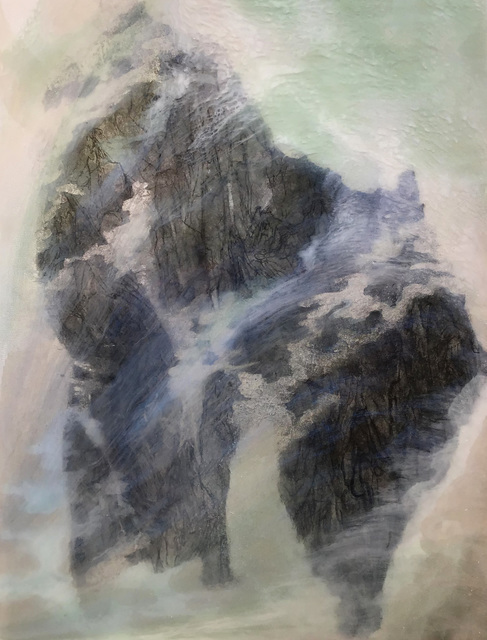 She then meditates on the fragments of ink-washed paper in relation to the surface ground until she begins to see other forms “hiding within them.” As she paints the envisioned terrain, her mental image changes constantly, adjusting to the “needs and desires” of the painting. 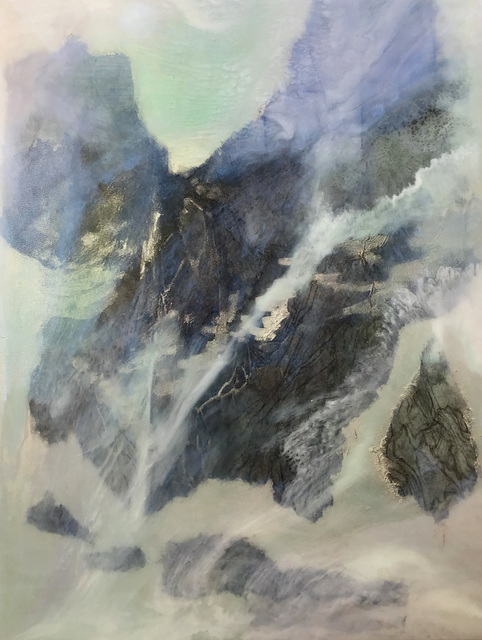 Wang’s mutable process reflects her belief that each painting has its own qi yun 氣韻 , or “life breath and spirit resonance.” Zhang Daqian  張大千 and Zao Wou-ki 趙無極  are two of her favorite Chinese artists because of their daring use of color and ability to make traditional Chinese aesthetics speak to a global audience. For her, resins are a new and bold gateway to expanding the potential of color and surface quality, because they cure to a shiny finish instead of the matte finish that has become the standard for Chinese landscape painting.